If you have any questions about the HARGRAVE 184 information page below please contact us. The HARGRAVE 184 is the flagship model of United States shipyard Hargrave with construction at the outsourced Turkish shipyard HSY based in Antalya. 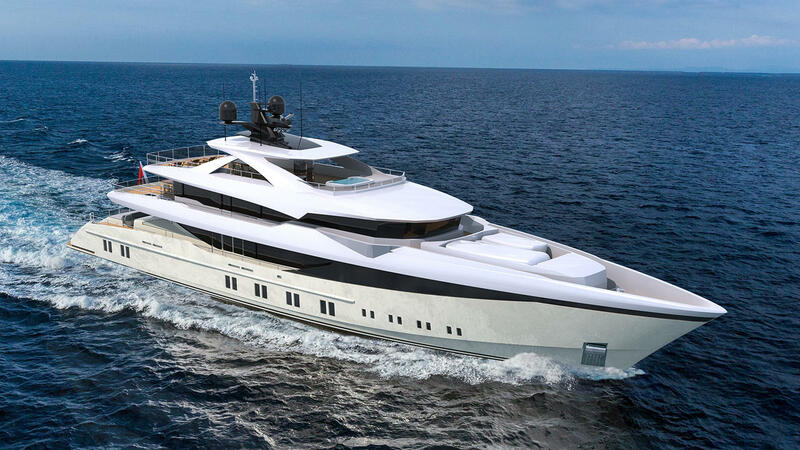 Constructed with a steel hull and aluminium superstructure, her naval architecture and interior styling is the work of HSY and the exterior styling comes from Unique Yacht Design. Guests arriving by tender will disembark onto the swim platform to be greeted by a generous sunbathing area that connects to the beach club. Access to the main deck aft is granted via two stairways and the shaded guest area is furnished with a curving sofa along the stern and a raised dining table. A more formal alfresco meal setting can be found on the upper deck, where a grand oval table seats up to 12 guests. 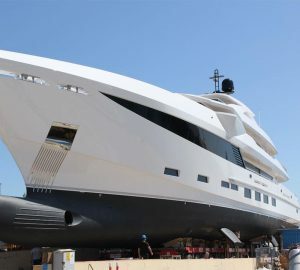 The foredeck is dedicated to storing the tenders and motorised water toys to leave the lower deck free for social spaces. One final guest area can be found on the sundeck, with places a forward Jacuzzi between two double sunpads and sun loungers to the aft. The central section beneath the hardtop hosts one final alfresco dining and lounging area to complete the outdoor entertainment spaces. HARGRAVE 184 can accommodate a maximum of 12 guests in 6 cabins. We do have available further amenity, owner and price information for the 56m (184') yacht HARGRAVE 184, so please enquire for more information. The luxury yacht HARGRAVE 184 displayed on this page is merely informational and she is not necessarily available for yacht charter or for sale, nor is she represented or marketed in anyway by CharterWorld. This web page and the superyacht information contained herein is not contractual. All yacht specifications and informations are displayed in good faith but CharterWorld does not warrant or assume any legal liability or responsibility for the current accuracy, completeness, validity, or usefulness of any superyacht information and/or images displayed. All boat information is subject to change without prior notice and may not be current.